The series is definitely getting better with every installment. I didn’t have a problem with the first two installments but you clearly feel a change in a more serious direction in this story. The prophecy of the quest mentions that not everyone will survive so the stakes get higher as the overall story progresses. In The Titan’s Curse we get introduced to a number of characters including Nico and Bianca. I wasn’t completely sold on Nico for most of the book. He seemed very whiny and kind of annoying, he reminded me a lot of Colin Creevey from Harry Potter that kid that got petrified. I wasn’t totally on board with Bianca’s decision to join Artemis. I felt like she was abandoning Nico to join a cause that was just explained to her like 5 seconds ago. I mean she just found out she is a demigod, that Gods exist along with monsters that are thought to be myth and she thinks its rational to just join Artemis and The Hunt? Speaking of Artemis and The Hunt, I really love the concept behind it. The rules and guidelines one has to follow to join make a lot of sense like having to swear off boys and I like that you don’t have to be a demigod to join, you just have to pledge to the cause and be a girl. I love the idea of there being this group of badass huntresses out there. Zoe, Artemis’s right hand was such a mystery throughout the book and I hate what happened to her in the end. I got so upset even though I knew she fit into the prophecy somehow. I really like that she was able to make up with Thalia and Artemis making her into a constellation really pulled at my heartstrings. Alongside Artemis, we also get introduced to Apollo and Aphrodite. Artemis and Apollo are so relatable as siblings. I saw myself and my brothers in those two when they would bicker and argue but you can tell they still care for each other deeply. I love Apollo. He is so funny and layback and its awesome that he would risk getting in trouble to help the group find his ‘baby’ sister. Aphrodite is a perfect example of why these books work and are loved so well. Her personality is so spot on. If I were to imagine her, I’d imagine her saying/speaking exactly how Riordan wrote it out. There were a couple of twist in this installment. Like Hades being Bianca and Nico’s dad. That was something I didn’t guess until just before it was revealed. That blew my mind. It’s revealed that they stayed at the Lotus Hotel for over 70 years making them candidates for the prophecy alongside Percy and Thalia. Another twist was Thalia joining the hunt. She joins just before her sixteenth birthday making her immortal so technically the prophecy can’t apply to her. I like that she took control of her destiny. Blackjack- I love Blackjack! I heard most of the audio book and the narrator did such a great job with Blackjack it was hilarious. Mr. D- Mr. D is so annoying but he cares. Somewhere deep in his soul he really does and it showed. I mean if he didn’t he wouldn’t have help the group & he said Percy’s name right for once. Who the hell is Rachel Elizabeth Dare?! Percy calling Tyson when he was lonely was so cute. The best news is that its confirmed Tyson will be in the next book. I love him. Grover- I feel like he does more now with whatever weird reed music magic he plays. I’m happy that there’s a type of confirmation that Pan exist. I was so sad when Bianca died. She died a hero trying to save the group. Nico is understandably devastated. Especially since he made Percy promise to look out for her. That’s definitely going to put a strain on their relationship. I love this series more and more with every installment. The Titan’s curse is pretty fantastic. I’m so happy I’m enjoying this series. I’m curious to see where this story goes in the next installment its getting close to the end and things are getting really intense. 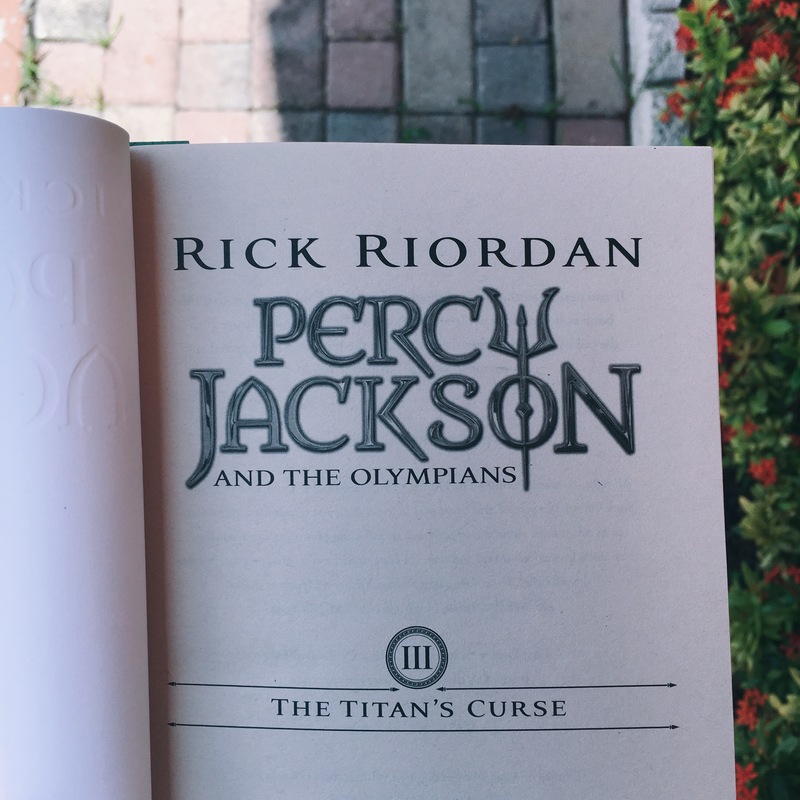 Guys let me know if you’ve read The Titan’s Curse. As always I would love to know your thoughts. Till next time. 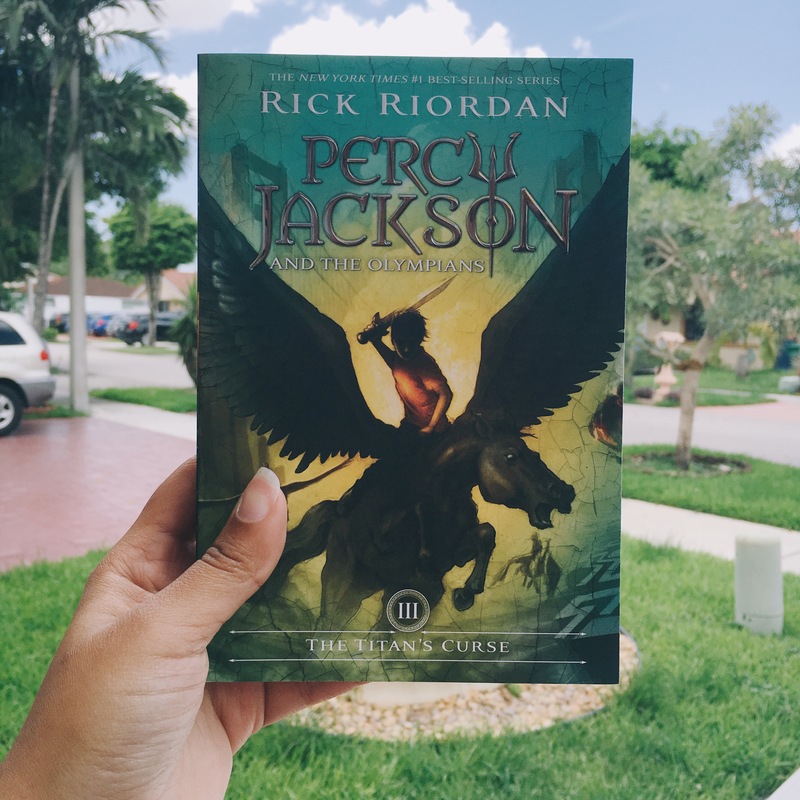 I’m almost done with the last book of the series, so I cant wait to throw my review too haha!